April 21, 2017 - Watch amazing drone footage of a blue whale lunging to eat a meal. Scientists filming in the South Ocean off the coast of New Zealand captured this stunning footage of a blue whale eating a mass of krill. 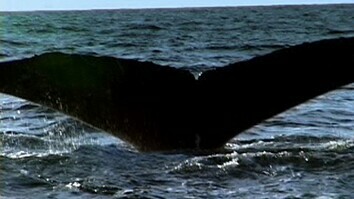 The whales can grow up to the length of three school buses and require a lot of energy to accelerate in the water. They speed up to about 6.7 miles just before consuming the krill, and the act of opening their mouth slows them down to about 1.1 miles per hour. They then have to expend even more energy to get back up to speed. 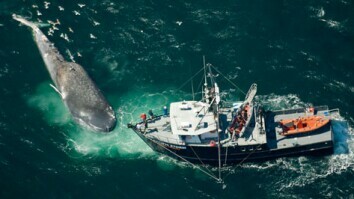 All of this energy spent may lead the whales to be picky eaters, if the mass of krill is too small they may swim through without opening their mouth to feed. 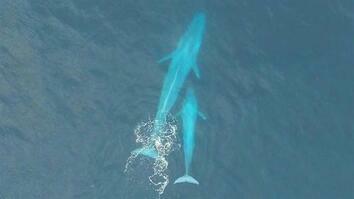 Click here to read more about the blue whales.